Magickal revelations, powerful crystals, and celestial readings can be spiritually healing for yourself, friends or family, who might appreciate a box of majestic, witchy goodies. Beyond the fictional lore, the practice of witchcraft revolves around understanding your inner spirit and connecting with the energy of other living beings, as well as the earth. However, the items you need for your craft aren’t always easy to come by. Get the inspiration you need, along with the tools of the trade with these mindfully curated witch subscription boxes delivering crystals, sage, meditation tools, essentials oils, herbs, and more! What's Included: Looking to bring positive energy into your life and home? The Awakening in a Box monthly subscription does just that. Available in 2 levels, the Awakening contains 3 crystals and 2 mindful products, like healing herbs and essential oils, and the Enlightened contains 5 crystals and 4-6 products. Every crystal is cleansed, charged, and comes with a detailed description card. 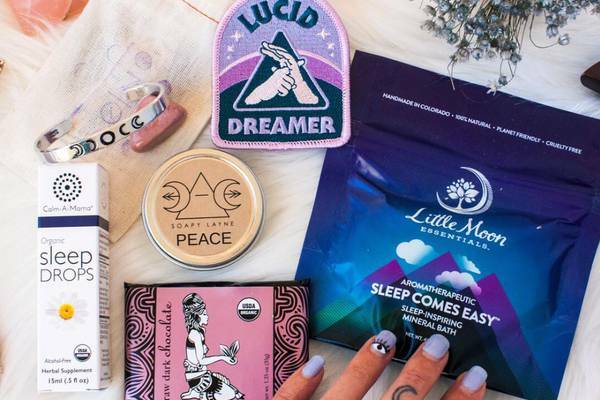 What's Included: Goddess Provisions is one of the best subscription boxes witchy self-care to treat both your inner and outer goddess to nothing but the best. 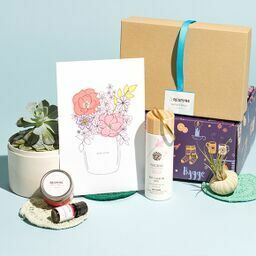 Thoughtfully curated to enhance anyone’s unique practice, each monthly box includes 4-6 full-size items, including 100% vegan and cruelty-free apothecary beauty products, superfood snacks, crystals, aromatherapy, teas, books and more. What's Included: Delve into a world of wellbeing with Enchanted Crystal, sending curated crystals and minerals from across the globe. Choose from the Crystal of the Month plan delivering a single stone, or the Crystal Variety Box that includes a mix of 4-6 crystals and a handcrafted cloth grid. Packaged in eco-friendly materials and hand-selected with intention, each box also delivers an assortment of mini crystals and minerals. What's Included: The Wild Crystals Box is one of the most popular crystal subscriptions and delivers a handpicked sampling of crystals, minerals and stones in each month’s themed box. Provide a soft focal point, instant clarity and subtle shifts in energy when meditating and practicing mindfulness with these dynamic crystals. From points and spheres, to rough or polished stones, each box contains an eclectic and routine-enhancing mix. What's Included: The Box of Shadows is a wiccan magic subscription box delivering curated boxes for beginners, explorers and advanced seekers alike. Each month’s box is filled with a variety of worship supplies and craft tools, altar decor, jewelry, pagan related gift items and metaphysical books. Get valuable resources and expert guidance to develop a practice that’s uniquely tailored to your needs. What's Included: Created and curated by certified crystal and vibrational healers, Crystals & Creations is a monthly box perfect to enhance any spiritual practice. With a number of subscription options to choose from, unpack crystals, smudging tools, herbs, hand-crafted jewelry and more. Delivering metaphysical treasures each month, there are boxes for those well-versed in their practice, as well as newbies just starting on the path! What's Included: Synonymous with a spiritual infusion of healing magick, an Una Spirit Bags subscription is thoughtful and affordable. Intimately curated by a longtime clairvoyant, intuit and medicine bag maker, each month’s handmade enchanted leather satchel brings ethically-sourced crystals, herbs, jewelry, totems, positive energy and more, all centered around a monthly spiritual theme. What's Included: Explore the craft and deepen your practice with Hag Swag, a monthly witch box that’s carefully made for the bewitched. Embrace being on the fringe with a box packed with 7-10 spiritual tools and new age accessories, like candles, body sprays, bath soaks, ritual herbs and self-care items. What's Included: Discover the wide world of magical crystals and natural energy with the Mystic Authority subscription. With 2 available options, the Crystal Focus helps teach the intricacies of crystals, sending 1-2 quality specimen and info on its uses. The Mystic Authority is a themed box loaded with crystals, minerals, jewelry and artisan wiccan products. What's Included: Magickal Folk is a subscription box for serious practitioners of intuitive magick and those looking for self evolution. Centering on different seasonal themes, each box includes spells paired with items like hand-poured candles, herbs, incense, oils, gems and more, all focused on exploring and grounding the self and enjoying the exploration of story medicine. They offer 8 different subscription options ranging from those just starting their spiritual journeys to seasoned practitioners. What's Included: Stay well stocked on all the spiritual tools needed for an evolving practice with Boho Mystic Co. With 2 choices available, get 6-10 handmade witchy products in every month’s box. From spells, rituals and divination tools, to candles, smudges, herbs and crystals, each box is brimming with tools that have been handpicked by an experienced practitioner. What's Included: Enhance satisfaction with life by finding spiritual inspiration from mystical explorers and earth medicine lovers. Develop and practice the craft with each box from the Tamed Wild Apothecary. Featuring 7-9 themed items every month, unbox herbs, teas, jewels, crystals, ritual tools and more, including many full-size apothecary items, all of the highest quality. What's Included: The Witches Roots is a premium subscription box curated by the experts at The Witches Moon box for authentic witches. With passion for the magick that flows through life, each month’s box is intentionally designed to enhance energy, bringing high-quality items, including ritual herbs and flowers, body oils, talismans, spell candles and more. 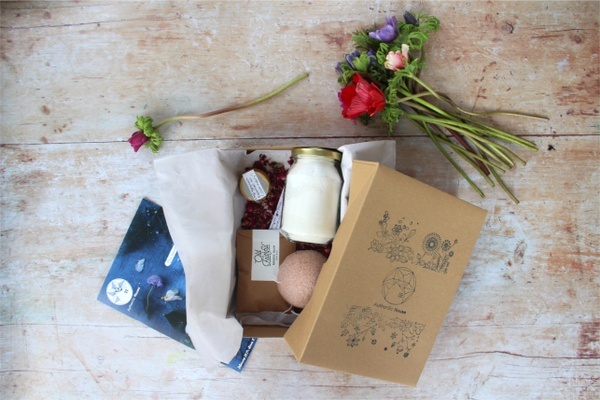 What's Included: Following along with the changing energies of the New Moon, each month’s Nova Luna Box delivers 5-10 items, as well as a suggested ritual to work that harnesses the power of that energy. From crystals and journals, to incense and hand-poured soy candles from small businesses, every box contains items to support your craft. What's Included: The Lady of Light is a monthly subscription that spotlights a seasonal Goddess, bringing rituals and affirmations to practice. With 4 levels to choose from, get 4-10 items selected by an expert with over 25 years of experience, including interesting jewelry, crystals, lifestyle items, home decor and new age gifts, along with informational spell casting suggestions. What You’ll Get: Bringing the best of crystals, astrology and tarot, the monthly Magickal Earth subscription is curated specifically to match the energy of each month. With 3 levels available, from Basic to Premium, get new age provisions, like amazing crystals, astrological overviews and useful magickal items. A tarot card drawn for your energies is included in every Premium box. 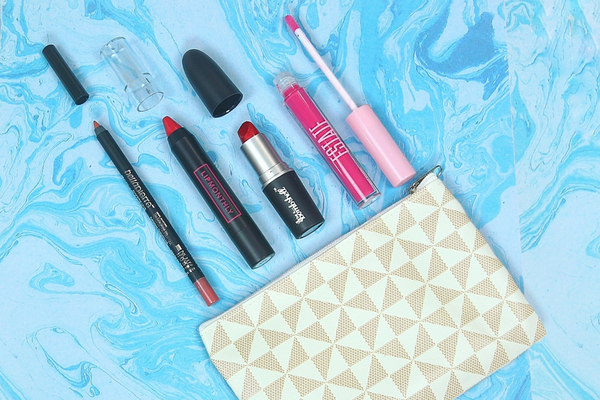 Didn’t see the perfect witchy subscription box for you? Check out our guides below!